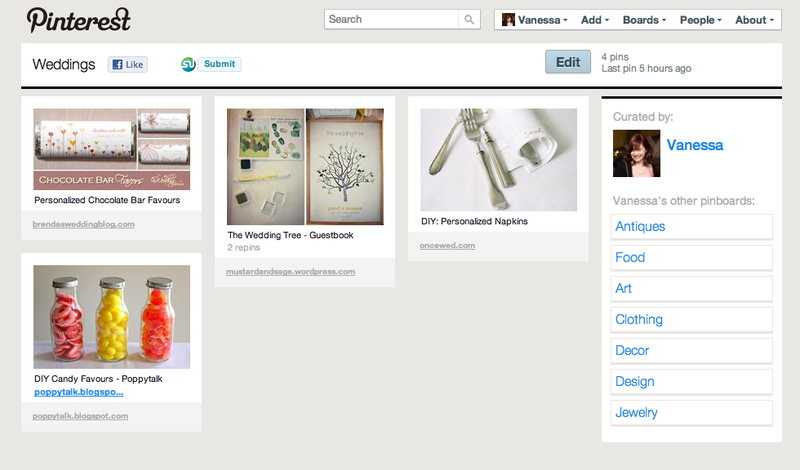 It seemed like everyone was raving about Pinterest a few weeks ago. I made an account, but never bothered to log on until today. Boy do I regret waiting! Having a visual bookmarking system is so handy! This will replace my bookmarking into folders and emailing myself links all of the time to stockpile inspiration. There's nothing worse than searching through your email going through links that you haven't described well enough. If you're on Pinterest follow me at http://pinterest.com/wholeheartedvtg and I will return the favour!